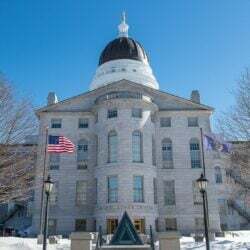 AUGUSTA -- A Waterville legislator's wife who confronted a burglar last April asked that the woman receive help and treatment -- and both the court and the burglar listened. AUGUSTA — A Waterville legislator’s wife who confronted a burglar last April asked that the woman receive help and treatment — and both the court and the burglar listened. “I hope she will make better choices,” Cynthia Longstaff wrote in a letter to the court. Jessica J. Savage, 31, of Oakland, pleaded guilty Monday in Kennebec County Superior Court to one count of burglary, two counts of theft by unauthorized taking and one count of illegal possession of a firearm. She was sentenced to five years in jail, with four years suspended, and three years of probation. The prosecutor had asked for a seven-year sentence, with six years suspended. Neither Longstaff nor her husband, state Rep. Thomas Longstaff, D-Waterville, attended the hearing on Monday, but Cynthia Longstaff’s letter was included in the court’s file. “If there is an opportunity for Jessica to participate in a program that offers evaluation and treatment for better self-understanding and training in skills that would lead to employment, then I wish that Jessica could have that available to her,” Longstaff wrote. In court, Savage said she regretted her actions. Crook told the judge that Savage was a victim of domestic abuse. Acting District Attorney Alan Kelley said Savage made the allegations of domestic abuse after she was arrested for burglary. Richard Rice, 46, of Waterville, was charged with domestic violence assault and terrorizing in connection with those claims. He has a court hearing on those charges this month, Kelley said. “The (Longstaffs) were certainly very understanding and obviously the court took that into consideration,” Kelley said. 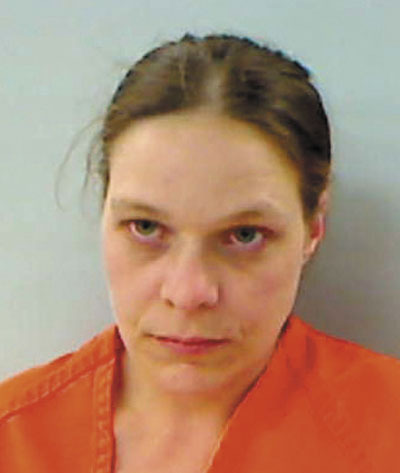 Crook said Savage has a drug dependency problem and asked the court to send her to treatment — including inpatient treatment — following the jail term. Longstaff had been gone from her Pleasant Street home for less than half an hour April 18 when she returned to find a cellar window pried open and an unfamiliar sweatshirt and bag on the patio. Longstaff, 71, searched her home and realized her husband’s laptop was missing from his desk, so she ran down the street to look for the burglar, calling 911 and following directions from onlookers who had seen a woman fleeing. She found Savage in a trash shed on School Street, talking on a cellphone and holding the computer. After she refused to give the computer back, Longstaff grabbed it and the woman ran away. Savage was captured shortly afterward by police on Belmont Street. Later, the Longstaffs realized an .22-caliber handgun had been stolen as well. Waterville police later recovered the gun from Savage. Savage had been previously convicted of a felony burglary charge in 2003.